Centre for Development of Advanced Computing (C-DAC) is the premier R&D organization of the Department of Electronics and Information Technology (DeitY), Ministry of Communications & Information Technology (MCIT) for carrying out R&D in IT, Electronics and associated areas. Different areas of C-DAC, had originated at different times, many of which came out as a result of identification of opportunities.While C-DAC was being setup for the indigenous design, development and delivery of the supercomputing technologies for the country, the mandate given was to not only develop the supercomputing technologies in the shortest possible time, but also continue to develop the high quality human resource, which will continue to develop such advanced technologies. C-DAC's Advanced Computing Training School (ACTS) is dedicated to creating high quality manpower for C-DAC in particular and the IT industry in general through the designing and delivering various courses. The courses are offered through a network of Authorized Training Centres (ATC's) as well as C-DAC's own centers. NETCOM is authorized training center of the C-DAC, which is known for its 100% placement records and high class training methods in state of art infrastructure. NETCOM is committed to deliver high class training with industry experts. With latest labs and practical approach of the training, students are getting placed in every area of IT domain. NETCOM is having its own Software Development Company “NetParam Technologies Pvt. Ltd.” which is completely involved in IT products and service delivery. NTPL develops world class Websites, Android Apps, Iphone Apps, Cloud Based Application, Hybrid Mobile Apps & Big Data and Analysis. It works for the government and private projects and here the resources are placed from the top of the world. It is one of the most comprehensive and global leader in IT services that helps its clients to simplify, strengthen and transform their businesses. NETCOM is equipped with the latest infrastructure which provides a congenial and a healthy learning environment to the students. It provides air-conditioned, interactive and well furnished classrooms with audio visual aids of training. 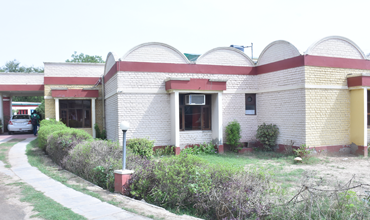 It has computer labs, library, seminar hall, workshops in campus. In Netcom, courses are taught by expert faculty who are trained, tested and certified to ensure that their knowledge is in step with latest industry trends. It mentors the students and develops the professional quality in them. It provides Placement assistance to the students through a Placement Support Program and helps to increase employability for students.